Dr. Bob will be discussing From Plagues To Miracles, and in particular the role played by miracles on the spiritual path, with internet radio host Edie Weinstein. The show link will be up and running 48 hours prior to the show: Thursday, July 31 at 8-8:30 EDT: http://www.vividlife.me. Dr. Bob will be “the spark”, that is to say, the inspirational speaker, at Circle of Miracles in New Britain, PA.
For more information see Circle of Miracles. We hope to see you there! A reminder that Dr. Bob appears regularly on the 2nd Thursday of every month at 3PM EDT on Spiritual Insights Blog Talk Radio with Charlotte Spicer. Topics are drawn from A Course in Miracles and From Plagues to Miracles. The discussions are lively, fun, and most of all, informative. Listeners may call in with their questions. To listen to past interviews, see the links under the INTERVIEWS & MEDIA Tab on this website. 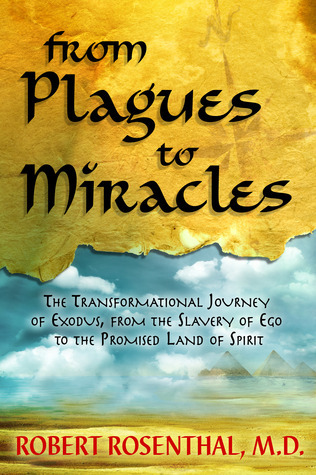 Win a Signed Copy of From Plagues to Miracles!